Russian mountaineer Alexander Gukov has made an attempt to ascend a 7145-meter (23,000 ft) mountain peak in Pakistan, taking the hardest route. His partner, Sergey Glazunov, fell to his death, and Alexander was stuck at 6300 meters above sea level, waiting for seven whole days for help to arrive. Our planet harbors a number of mountains that are considered nearly impossible to climb, even for experienced mountaineers like Russians Alexander Gukov (from Novorossiysk) and Sergey Glazunov (from St. Petersburg). The notorious Latok mountains belong on that list. They are a group of peaks in the Karakoram mountain range in Pakistan. The Latok-I is their crown jewel, boasting a summit stretching to 7145 meters above sea level. Latok-I was first conquered by Japanese climbers in 1979. They used the south face of the mountain for ascension, while the impossible north face has been attempted over 50 times by dozens of climbers and expeditions, all to no avail. 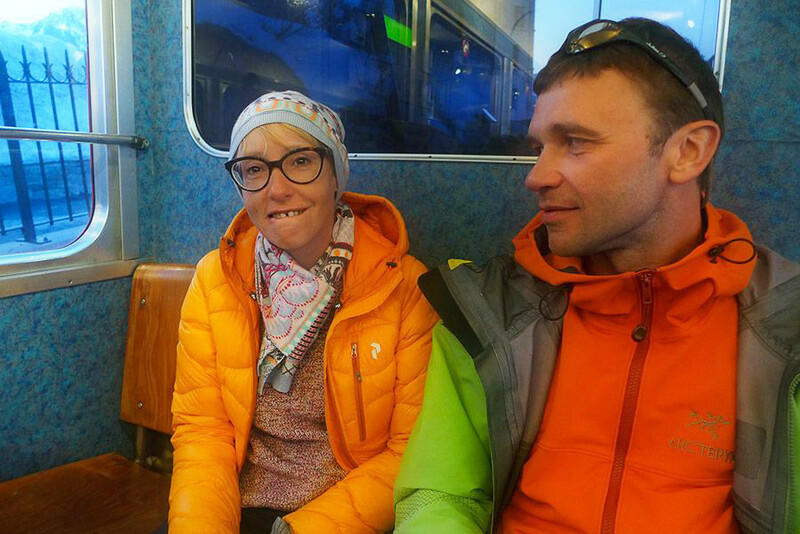 Anna Piunova, Gukov’s friend and editor of Mountain.ru, a Russian mountaineering website, says it was her suggestion that Gukov climbe Latok-I. “Sasha had just won the “Golden Ice Axe”, Russia’s most honorable award for mountain climbers, and he sought new goals to pursue,” Piunova says. “It was I who told him about this mountain’s north face, which has stood unconquered for 40 years. He became obsessed with this idea right away”. In 2017, Gukov has made his first attempt to climb Latok-I’s north face along with two other climbers from St. Petersburg. They reached the 6800-meter mark. Valeriy Shamalo, one of Gukov’s companions on that climb, says that the mountain has unpredictable weather, which makes for difficult acclimatization. Climbers often have to wait for hours for the clouds to clear, which disrupts the schedule. As a result, when the climbers are almost at the summit, they have to descend because they don’t have enough food and fuel. That’s what happened to the trio of climbers in 2017 – they ran out of gas. Shamalo was struck with pneumonia and frostbite. After the climb, the mountaineer – who enjoyed playing guitar – ended up losing several phalanxes on his hands and feet. “The only thing I know for sure is that [braving] Latok-I’s north face is doable. Gruelling and wasting, but doable. This time we didn’t ascend, but I’m sure we have every chance of making it next time,” Gukov saidafter the 2017 climb. On July 10, Gukov and Glazunov started the climb. At the 5500 meter mark they left the heavy equipment at base camp together with a note: “We’re taking 5 days’ worth of food supplies and rip off”. By July 22, they were at 6500, and planned to reach the summit the following day. But they suddenly stopped transmitting and, on July 25th, a rescue helicopter was dispatched. 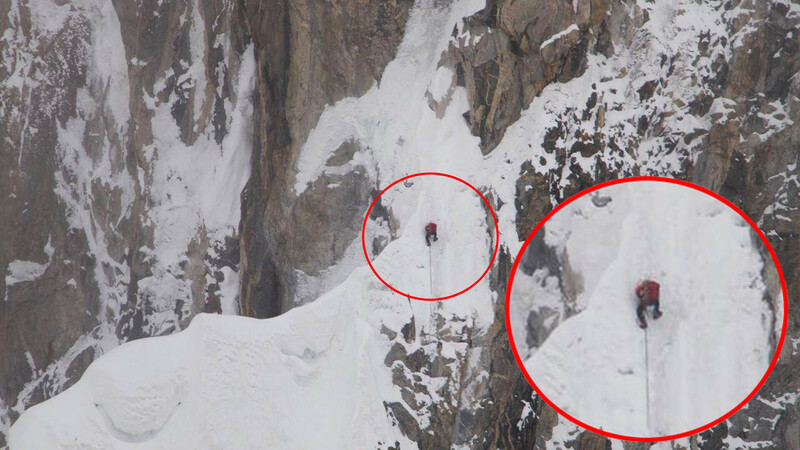 Both climbers were spotted alive after a pass around the mountain. No further action was deemed necessary. An hour after that, Alexander radioed a distress call, and it became clear that during that hour, Glazunov fell to his death, possibly during an attempt to start descending. “Shortly, three more messages arrived from Gukov: “Sergey fell”, “I’m hanging on the wall”, “I need help. I require evacuation,” Piunova says. Gukov had no rope to go down – they were in Glazunov’s backpack, along with most of the gas supply. Gukov had only his tent left. 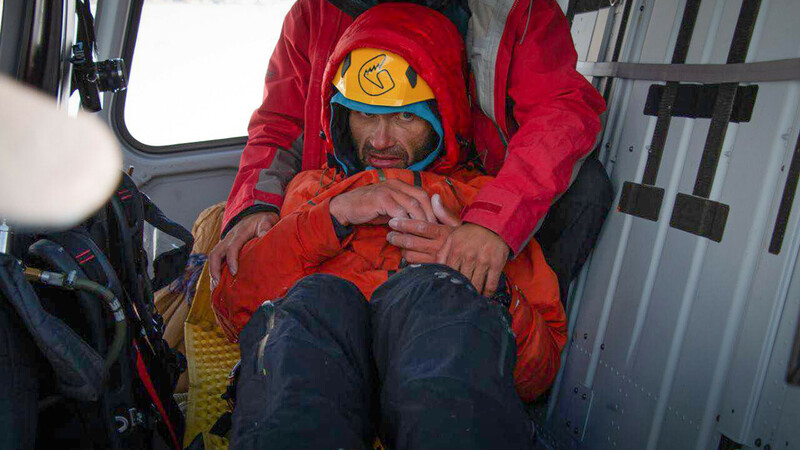 He reached a safe spot, under cover from possible avalanches or rockfalls, and waited there. On the same day, the weather had improved enough for the helicopters to mount a rescue, but they got delayed, and didn’t make it to Gukov. “I don’t know where Gukov made a mistake,” Shamalov commented. “He may have put too much trust in Glazunov, who walks very fast; or maybe he had it all planned, but the weather had failed him. It could have been anything – it’s the mountains. From where we stand, we can’t imagine what exactly went wrong up there. Glazunov was a good, strong athlete,” Shamalov added. Meanwhile, Gukov continued to send transmissions. “He got angry, asking why the helicopters didn’t make it the first time around. We expected the rescue to take 6 days at the most, but we were sure we’d rescue him earlier. It’s day 6 today,” Piunova said on July 31. Finally, on that day, Pakistani rescue helicopters managed to locate and rescue Alexander. The pilots executed a meticulous and dangerous operation: at this height and in these conditions, any false move could have led to a disaster, killing the pilots and the mountaineer. 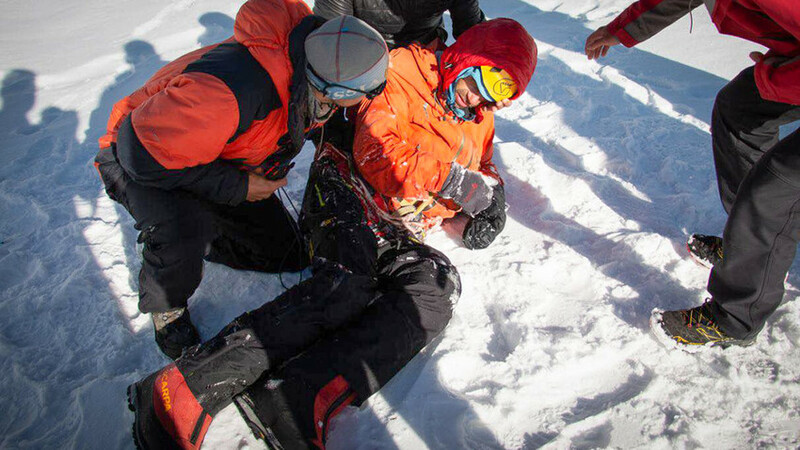 “They’ve rescued him!” Piunova finally wrote on Mountain.ru. “Sasha is in the hospital in Skardu (a city in Pakistan, near the Karakoram range). He has light frostbite, just peanuts. He’s very weak, he can hardly talk. My dearest, thank you all for your support, it was all not in vain! Deep gratitude to the pilots of Askari Aviation Pakistan, they’ve accomplished the impossible. Thank you to the Russian Embassy in Pakistan, and personally, to Vadim Zaytsev (1st secretary at the Russian Embassy), thank you to Russian Foreign Ministry, it wouldn’t have happened if not for you”. Amid the joy of the rescue, fellow mountaineers did not forget to honor the memory of late Sergey Glazunov – a commemorative video has been posted on YouTube on the 9th day following his demise. 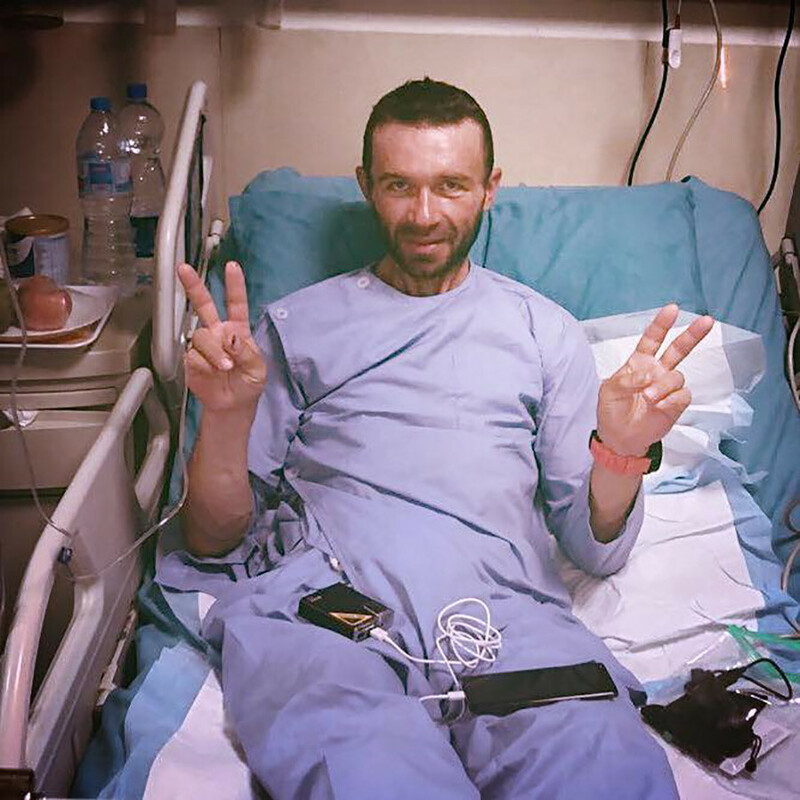 Meanwhile, on her Facebook page, Piunova has posted a photo of Gukov, alive and well, recovering at the Skardu hospital.